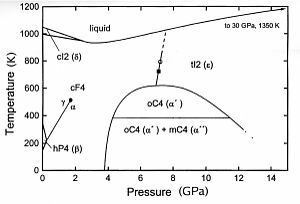 ^ Stassis, C.; Gould, T.; McMasters, O.; Gschneidner, K.; Nicklow, R. Lattice and spin dynamics of γ-Ce. Physical Review B. 1979, 19 (11): 5746. doi:10.1103/PhysRevB.19.5746. ^ Patnaik, Pradyot. Handbook of Inorganic Chemical Compounds. McGraw-Hill. 2003: 199–200 [2009-06-06]. ISBN 0070494398. ^ Chemical reactions of Cerium. Webelements. [2009-06-06]. ^ Barry Fox. Nano fuel additive enters efficiency trials. 15 October 2003. ^ Jung,Heejung; Kittelson, David B.; Zachariah, Michael R. The influence of a cerium additive on ultrafine diesel particle emissions and kinetics of oxidation. Combustion and Flame. 2005, 142 (3): 276–288. doi:10.1016/j.combustflame.2004.11.015.